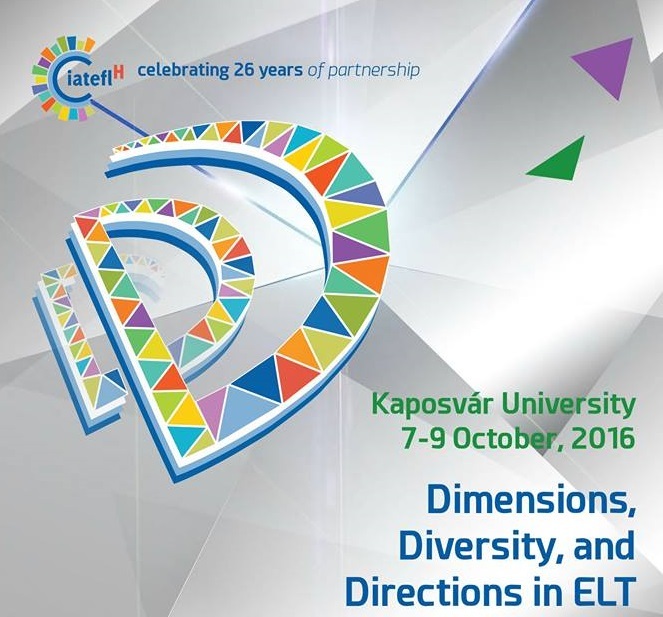 IATEFL-Hungary is proud to announce the launch of a brand new peer-reviewed selection of articles based on the annual conference. This carefully chosen, peer-reviewed selection aims to provide a forum for researchers who teach and teachers who do research to share their work. We hope that the prospect of this publication opportunity will motivate ELT professionals to come forward and participate even more actively in IATEFL-Hungary conferences. We also hope that a union of research and practice will put IATEFL-Hungary on the cutting edge of the professional development of English language teachers. Like in previous years, our wonderful colleagues Éva Illés and Jasmina Sazdovska have compiled a volume of the conference selections from the Kaposvár 3D Conference.Click on the image below to read it. Here is the new volume of our now regular conference selections. Click on the image below and enjoy reading. The second issue of what we hope will become a regular publication of IATEFL-Hungary is out now! Click on the image below and enjoy reading. The Repertory was published to celebrate the 25th anniversary of IATFL-Hungary. It is a compilation of ALL the names of the presenters and the titles of ALL conference presentations that were included in the programme of the 25 conferences of our association. The first issue of what we hope will become a regular publication of IATEFL-Hungary is out now! Click on the image below and enjoy reading. You can subscribe to our monthly electronic Newsletter by sending a mail to office@iatefl.hu. IATEFL-Hungary publishes its professional magazine, called mELTing Pot (ISSN 1785-6965) three times a year: two electronic and one printed issue. The magazine is free for all IATEFL-Hungary members. mELTing Pot accepts submissions of articles from English teachers, teacher trainers, content teachers and program administrators on a wide variety of topics in second/foreign language education, including principles and methods of language teaching; activities, techniques, projects, best practices for teaching the language skills; classroom-based studies and action research; various types of analyses, curriculum and syllabus design; assessment and testing; teacher training and development; materials writing; English for Specific Purposes; and last but not least CLIL, cross-curricular teaching and intercultural education. then send your article to potarticles.iateflh@gmail.com.